The angled topline offers a more comfortable fit around the calf while the extended rubber upper offers additional protection. 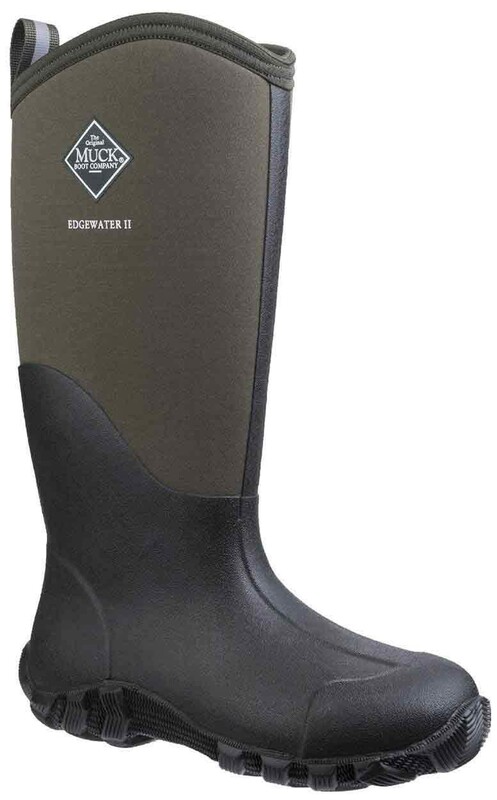 This boot will be a classic for years to come. 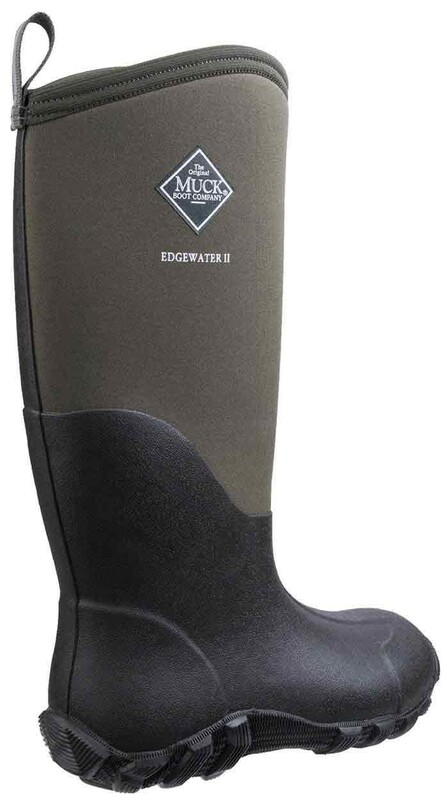 The Muck Boots Edgewater II Multi-Purpose Boot Moss features: 5mm CR Flex-Foam, Breathable Airmesh Lining, Extended Rubber Coverage, Angled Topline, Achilles Reinforcement, Aggressive Waffle High Traction Outsole. Temp rating 0C to 18C. 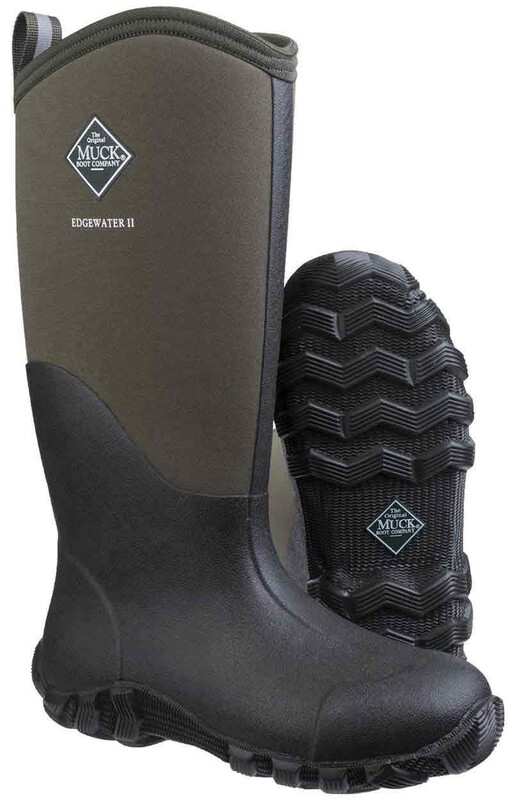 Upper: Rubber/Neoprene, lining: Breathable Airmesh, sole: Rubber.